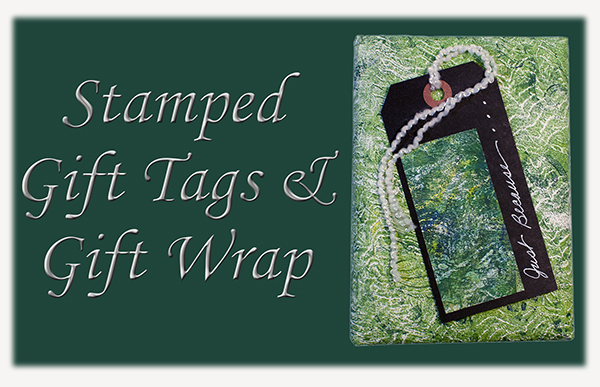 New Stamped Gift Tags & Gift Wrap eArticle POSTED! 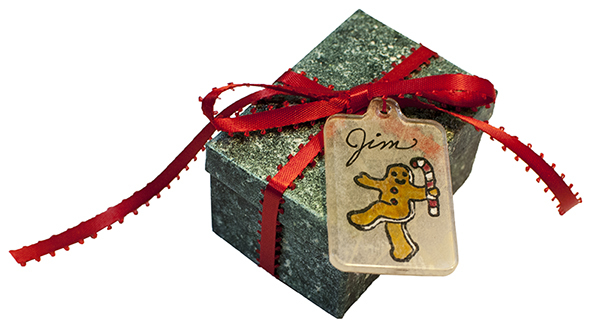 VSN’s newest eArticle, “Stamped Gift Tags & Gift Wrap” has now been posted on VSN’s website for you to read! We stampers love to stamp greeting cards. But sometimes a card isn’t enough and you want to use your stamps to create a gift tag and/or gift wrap. But this time of year can be really BUSY and time is precious. This eArticle covers twenty-one ideas for creating quick and easy gift tags, wrap or embellished gift bags using stamps and other supplies. 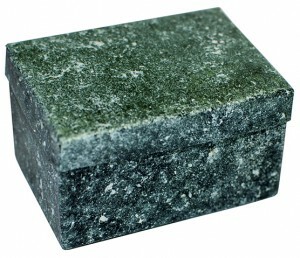 Get out of the commercial gift wrap and a bow wrapping rut. Get inspired to use your stamps to create a gift wrapped presentation that is really special. Note: This eArticle is organized a little differently than the typical VSN eArticle. Normally I go in-depth on each aspect of an art medium or tool or technique, showing sample art following each topic. This eArticle is more of a gallery of ideas for using your stamps to create a fun, quick gift wrapped presentation. So there is more art here and a little less text. 57 half-sized pages designed to view comfortably on your computer screen and is also printable! (pdf version. See below right.) Color photos of technique steps. 33 beautiful stamp art examples of the techniques covered. I hope you enjoy it. Please let me know what you think in the comments!